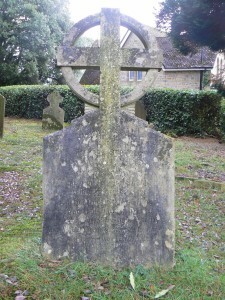 William Bridger Bailey was baptised at Midhurst Parish Church on 9 November 1890 when his mother was named as Jane Bailey. At the 1891 census he was aged 7 months and living at No.2 The Square, Midhurst, Sussex, with his mother Jane and his grandparents William Bridger Bailey and Jenny (sic) Bailey and three other relatives. Ten years later in 1901, William B Bailey was 77 and had retired. With his wife Fanny he had moved to 1 Cobden Road, Midhurst. William Bridger Bailey, their ten year old grandson, was living with them together with three relatives. Jane Bailey had married Thomas Stovold in 1893 and they were living at 3 Cobden Road with their four children and three children from Thomas’s previous marriage. In 1911 William Bailey was aged 20, working as a grocer’s assistant and boarding with Annie Grigg, a widow (49) of Rose Cottage, Sidlesham, Sussex. William B Bailey married Louisa Hoare (22) in 1914. She was a daughter of blacksmith Walter and Ann Hoare, The Mill, Sidlesham. William Bridger Bailey was awarded the Military Medal for acts of gallantry and devotion to duty under fire. Confirmation was announced in the London Gazette (issue 29535). The MM was the ‘other ranks’ equivalent of the Military Cross and would enable the recipient to add ‘MM’ after his name. The 9th (Service) Battalion of the Royal Sussex Regiment was formed in September 1914 in Chichester and was then moved to the South Downs to join the 73rd Brigade of the 24th Division. The Regiment was mobilised for war on 1 September 1915 and subsequently landed in Boulogne where they became involved in the Battle of Loos. They were also involved in the Battles of Delville Wood and Guillemont during 1916. During 1917, they saw action at Vimy Ridge, Messines, Langemarck and the Cambrai Operations. The 24th Division was part of the 5th Army that was in action on 21 March 1918, the first of three days that were to be known as the First Battle of the Somme. The 5th Army, while suffering terrible losses and giving up much ground, did not break their line. William Bridger Bailey served in the XIX Corps and was killed on 21 March. William Bridger Bailey was also awarded Victory and British medals. According to a memorial headstone in Midhurst Cemetery, he was killed in action on 21 March 1918 aged 26. His name appears on Panels 46 and 47 of Pozieres Memorial and his name is inscribed on the Midhurst War Memorial. He is listed as William Bailey Stovold on the Memorial Panels in Midhurst Parish Church (where Alan (sic), Howard, John and Percival Stovold are also listed as serving in the war). His widow Louisa Bailey married Frederick S Richards in 1923 and she died in 1995, aged 103, in Chichester. His mother Jane Stovold married Charles Varndell in 1923 in the Midhurst district. Jane Varndell died in 1955 aged 83 in the Croydon district.